If you like Ozzy Osbourne, you’ll eat up I Am Ozzy. With a #@!%-ing spoon. However, if you don’t care for the Prince of #[email protected]*-ing Darkness, you probably won’t pick up his book. But Ozzy has an audience a large and diverse one that will likely make his autobiographical tale a success. Fans might not learn much from this book, since his private and public lives have been under a media microscope since the release of Black Sabbath, the band’s first album, on February 13, 1970 Friday the 13th. Ozzy walks us through his start in the music scene and then proceeds to tell stories that are largely a part of the public consciousness. His memory can be fuzzy, which is no surprise given his intense thirty-year relationship with drugs and alcohol. For instance, he’s heard the anecdote about his snorting a line of ants, but he can’t say with certainty whether it actually happened, because he doesn’t recall doing so. Ozzy left school at 15, has had numerous run-ins with the law, has dyslexia and ADHD, did A LOT of drugs, killed animals, and has sold more than 100 million albums. He has killed animals (and he can recall those incidents almost too well) and almost killed his wife, Sharon. He has dealt with legal problems, IRS issues, and Sharon’s treatment for cancer. He lived through the freak plane crash that claimed the life of bandmate Randy Rhoades and the freak quad accident that almost killed Ozzy. What might come as a surprise is Ozzy’s honesty about Black Sabbath and the whole Satanicâ€ aspect. According to Ozzy, We never took the black magic stuff seriously for one second. In fact, the way Ozzy tells it, the inverted cross first appeared among the album art on the group’s first album and it was an aspect that Black Sabbath had no input on. They never attempted to correct that misconception, though, because of its valuable benefit: free publicity. Of course, that free publicity wasn’t so wonderful when he was blamed for the suicide of a teenager in the mid-80s. If you’re looking for Ozzy to dispense doses of sincerity and soul-baring honesty, you’ll get it. Much to my chagrin, the audiobook version is abridged, which translated into four hours of listening. The book is 461 pages, so I missed a whole lot. I will be getting the book, because I want to hear it all. Don’t make the mistake of lumping this book in with other bad boy rocker memoirs. While Ozzy’s decades of drugs and drinking, debauchery and desperation certainly keep pace with the likes of Motley Crue and Guns n Roses, it is his humanity that will draw you in and keep you reading. His devotion to Sharon and his children and his policy of having no regrets (for the most part) while not glorifying his lifestyle, his truthful retelling of wild antics and ordinary adversityall these things set this memoir apart. You’ll hear the endearing story about singing Changes with daughter Kelly and seeing it become his firs o. 1 song after 33 years in the business, as well as a sobering exchange with son Jack, who was addicted to OxyContin. What have you ever wanted for? Ozzy asked him. Jack replied, A father. 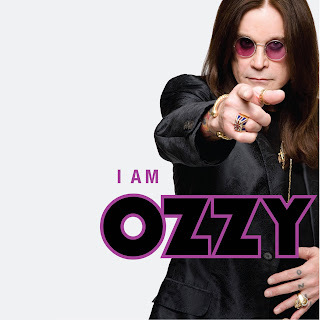 Read I Am Ozzy. You might just be surprised at how *@!#-ing likable Ozzy Osborne is. Beware: There is a lot of #! *@-ing cursing in this book. But that’s to be expected. I received a free copy of the audiobook from the publisher which did not affect me in giving an honest review.